BaseballHappenings.net is proud to present a private signing with legendary Cuban Hall of Fame pitcher and former Pittsburgh Pirate, Gonzalo "Cholly" Naranjo. He currently has a 0% success rate on SCN. All items are due by February 17, 2011. Cholly was an integral part of the legendary Almendares team from 1952-1961. He was signed by legendary scout "Papa" Joe Cambria to the Washington Senators, and had a catch with President Eisenhower before the home opener in 1954. 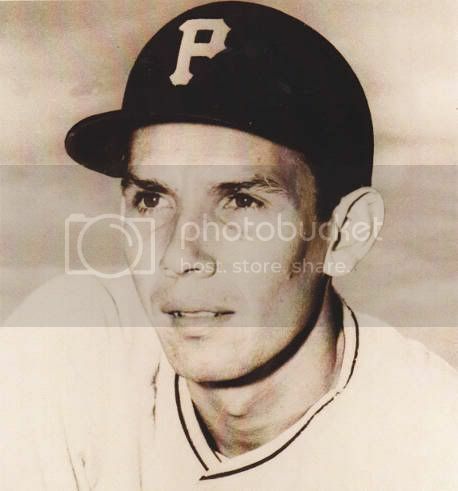 He was then signed by the Pittsburgh Pirates by Branch Rickey and was a member of the Hollywood Stars of the Pacific Coast League (PCL) before making his debut with the Pirates in 1956 alongside his roommates and future Hall of Famers Bill Mazeroski and Roberto Clemente. He spent most of his life in Cuba, and his autograph has evaded many autograph seekers. His only standard issued card is the 1957 Topps Pittsburgh Pirates Team Card. You can send a SASE with your items, however, you assume all risk for the SASE. If you are located outside of the United States, please email for a shipping quotation. Please send your items with a post-it note and name to ensure the correct return.